Well, last weekend I got to spend some time in the great out of doors, practicing camping and survival skills in the snow. If you are a ninjutsu practitioner, you must constantly push yourself out of the comfort zone and explore new avenues of training. 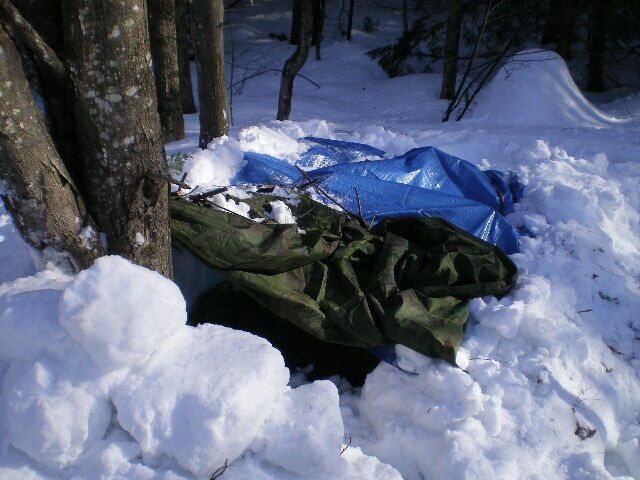 In 2009, I slept in the above (unfinished) snow trench in 10 degree weather, warm and snug on top of hemlock bows. 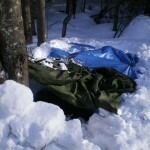 This year, I have been pushing the limits of my Hammock Tent, and have slept out in about the same degree of coldness, but with a lot more wind (more pictures and information coming)! So not only did I hone my trap and snare making skills but I learned a great deal from my old pal, whom is a trapper about new ways to lay and set snares for emergency game trapping in a survival situation. Lots of great information to put together for you from this weekend so stay tuned for more posts coming your way! This entry was posted in Uncategorized on March 18, 2014 by admin.